New Trailer for Red Dwarf X and a UK Airdate! Watch the new teaser for yourself below and share your thoughts in the comments. Are you excited for the return of Lister, Kryten and company? Or do you think the show’s run its course? 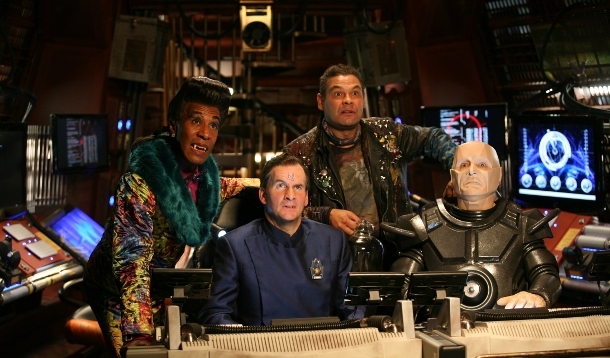 No word yet on when Americans might be able to see the new Red Dwarf series stateside, but we’ll keep you posted! In this new teaser, Kryten and the Cat experience a strange synchronicity. Or is it just a crazy coincidence?